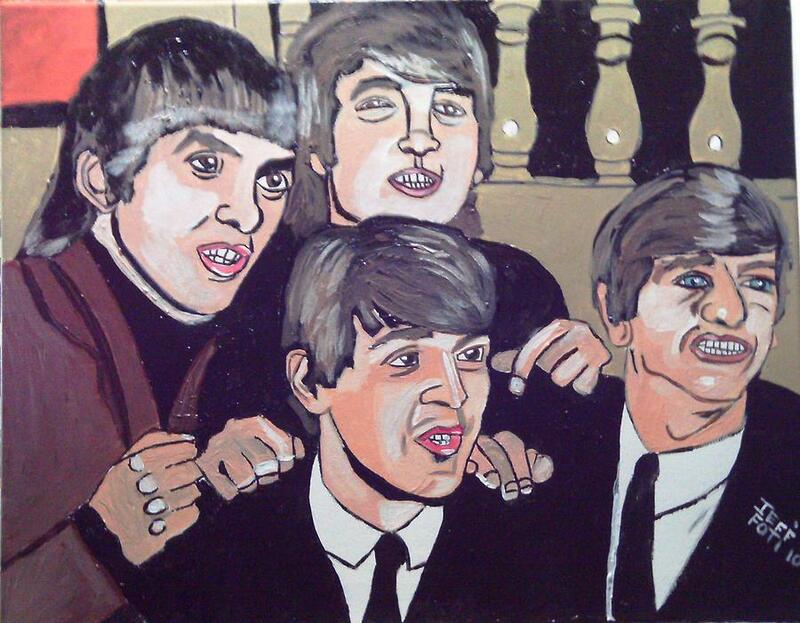 The Beatles is a painting by Jeffrey Foti which was uploaded on July 15th, 2010. I like this one Jeffrey and thank you for your comment on my Bear Family. Very good impersonation of them, you have got their expressions well. Thank you for the comments on Liz and and Cameo Rose, much appreciated. Jeffrey, Rock and Roll is here to stay... And YOU rock! BTW, it is a miracle to see 4 Brits with such good teeth.